For those Star Wars obsessed individuals among my readers, you likely easily recognized The Thrawn Trilogy by Timothy Zahn. 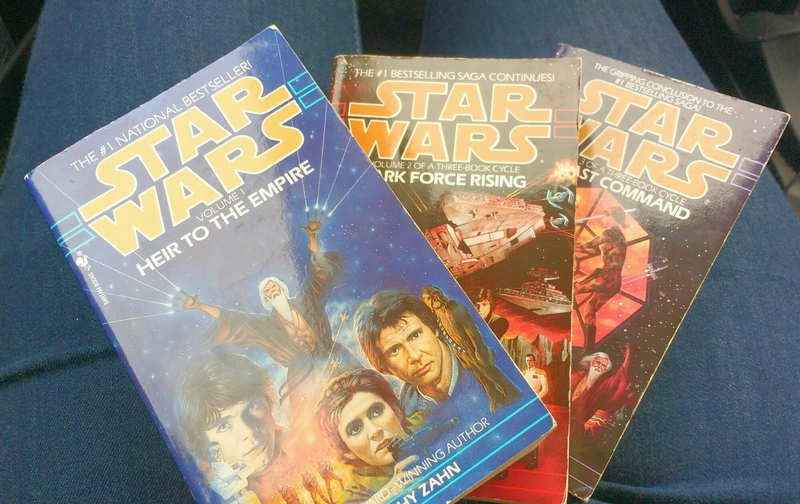 What you may not know is that this is the trilogy that relaunched the Expanded Universe. Without Timothy Zahn and his incredible ability to evoke the heart of Star Wars while injecting much needed life in the form of unique new characters, I’m not sure what Star Wars fandom would be today. We might not have even had any of the other content that has come out since the early 1990s. Indeed, we might not even have the die-hard fans our fandom has. I say this because for many, me included, it was the Expanded Universe novels that solidified and fed our love of Star Wars when there was nothing else new out there. Fun fact: We also wouldn’t actually know that the name of the planet that housed the Imperial Center was Coruscant if Zahn hadn’t dreamed up the name (See “Legends” Wookieepedia page for “Coruscant,”and scroll to “Behind the Scenes” – I’m not making this up!). 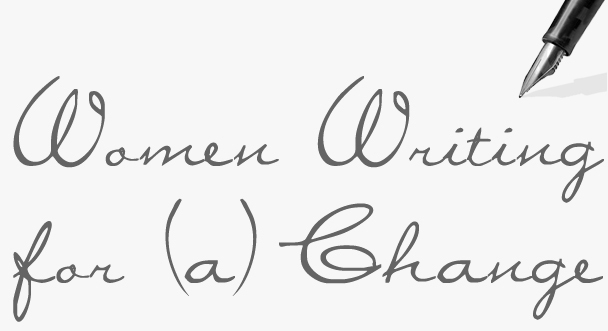 Get lists of women authors from the staff at the New Jersey City University library. After cobbling together a reading challenge for myself for 2016 (I smooshed together different aspects from these reading challenges suggested by Bustle), I created a “women authors” category on my Goodreads profile to help me track that category of books. I was sorely disappointed in myself to learn that only 28% of the books I’ve read were written by women (keeping in mind that I didn’t consistently track the books I’ve read until a few years ago), and most of those have been in the last two years. Considering how many women there are in the world, that’s a dismally low number. According to The World Bank, the number is 50.4% in the United States, which is where most of the authors I read are from. Australia and Great Britain are the only two other home countries for the majority of my authors, and they have similar numbers. But the lack of geographic diversity in my reading is a whole other disparity that deserves its own post, which has luckily already been written by someone more talented than I: Reading More Translated Books Will Make You A Better Person by Rachel Cardasco on BookRiot. I have a confession: There has been a large chunk of my life in which I disliked feminism. I didn’t actively attack it. I treated it the same way I treat other things I didn’t want to deal with or didn’t support: I just ignored it. It’s not that I hate women, I just hate the big deal that is made out of girl power. Which I admit is kind of crazy, seeing as how I am a woman, I identify as such, and I admire powerful women, whether they be real, like Wendy Davis, or fictional, like Zoë Washburne. I like to believe we live in a society where we’ve moved past the need to point out that girls have power, too. It’s just a fact, or at least it was, in my worldview. Yes, I know this is naive and even lazy of me. And recent news stories have proved that my idealist view of the world is way off. From the continued pay gap between men and women to the horrible Internet trolls that have attacked women for daring to be geeks have forced me to think about my own beliefs. When I started reading gobs and gobs of books as a child, a lot of people asked me if I wanted to be a writer. After a few months of introspection and a terribly failed attempt, I realized that I did not want to be a writer at all. At least not a writer of the kinds of books that I was so enamored with as a child. Promote library activities in press releases? Sure. Share my opinion of a few great books? Absolutely. But write one of those great books? Not a chance. No, authors are a breed unto themselves, hallowed by all for letting us live in their heads, if only for a short time. They are gatekeepers and guides to the imagination. They safeguard the way, protecting it for all. And they provide guidance through the dangerous misty corners in which a hero’s adventures help us understand ourselves. If not for their skill with words and willingness to make visible the worlds they think up, our own imaginations would not be as full. 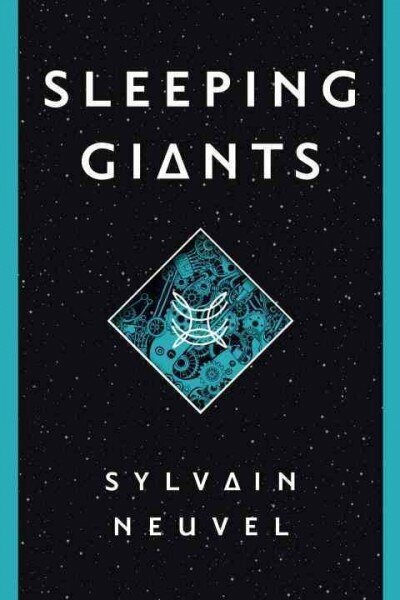 I have mentioned how I love science fiction, but I didn’t go in-depth into my love for fantasy. A genre that many think of as the other side of the science fiction coin, it’s no wonder that I love fantasy as much as science fiction. I also have a very specific taste: I want magic, I want fantastical beasts and I want that epic journey. My first fantasy love was the great J.R.R. Tolkien. I read Lord of the Rings before The Hobbit because I was that kid who thought it was too much of a kid’s book to bother reading. Since then I’ve fallen head over heels into C.S. 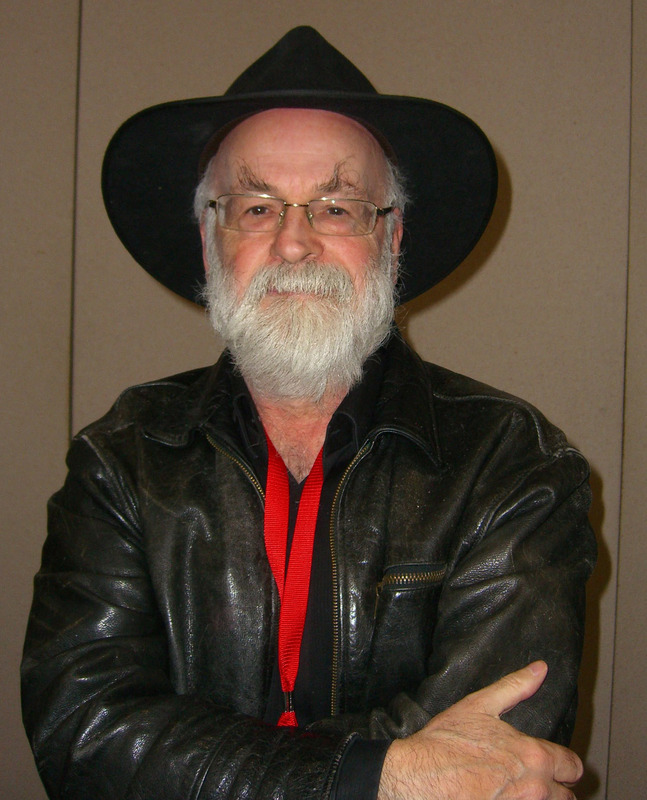 Lewis (who, might I add, also wrote one of my favorite science-fiction trilogies, The Space Trilogy), J.K. Rowling, Stephen King’s Dark Tower series, and, most of all, the late, great Sir Terry Pratchett. “He will rage, as he leaves, against so many things: stupidity, injustice, human foolishness and shortsightedness, not just the dying of the light. And, hand in hand with the anger, like an angel and a demon walking into the sunset, there is love: for human beings, in all our fallibility; for treasured objects; for stories; and ultimately and in all things, love for human dignity.” (Neil Gaiman: ‘Terry Pratchett isn’t jolly. He’s angry, The Guardian, 24.09.2014). I would add that if you haven’t read anything by Pratchett, please do. The sheer number of books in the Discworld series may be daunting, but any one of them is worth perusal. And then you will happily scale that mountain to continue to spend time in Pratchett’s beautiful mind.